During a Senate hearing on Wednesday, Attorney General William Barr said that he believed that spying on the Trump campaign by the FBI “did occur.” He provided no evidence or basis for saying so, and less than two weeks ago, another office in the Justice Department confirmed to American Oversight that it had no records supporting one of President Donald Trump’s tweeted claims that Trump Tower had been wiretapped during the campaign. In March 2017, Donald Trump sent a series of tweets claiming the Obama administration “had my ‘wires tapped’ in Trump Tower just before the [election] victory.” American Oversight filed Freedom of Information Act requests for records, such as warrant applications and court orders, of Trump Tower surveillance, eventually filing a lawsuit to force the records’ release. In September 2017, the Justice Department confirmed in a court filing that neither the National Security Division nor the FBI had any records supporting Trump’s claims. Late last month, the Justice Department’s Executive Office for United State Attorneys also said it had no such records. Bies also added that the investigation’s findings and the actions of the investigators should be subject to FOIA. After Mueller submitted his report to the attorney general, American Oversight filed FOIA requests for the full Mueller report. 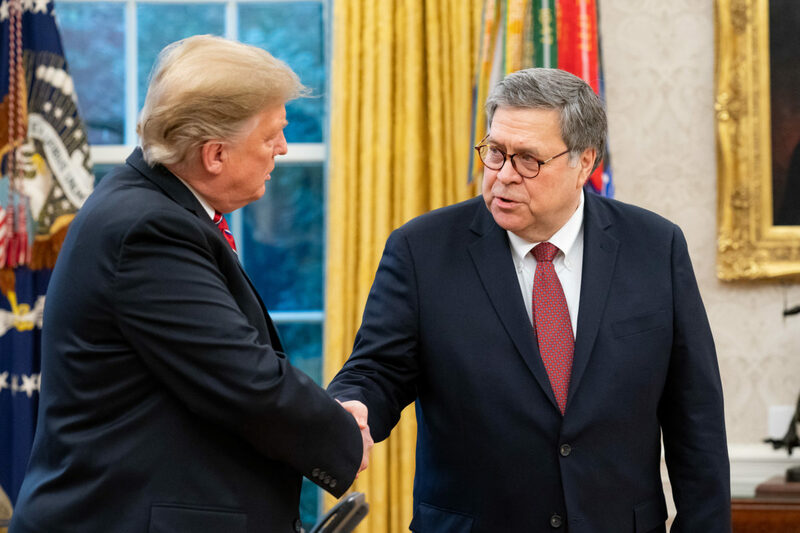 A few days later, Barr released a four-page summary of Mueller’s report, which is reported to be more than 300 pages long.